My digital illustration, “Spaghetti Yeti”, has been accepted into the SILA Illustration West 56 Show! 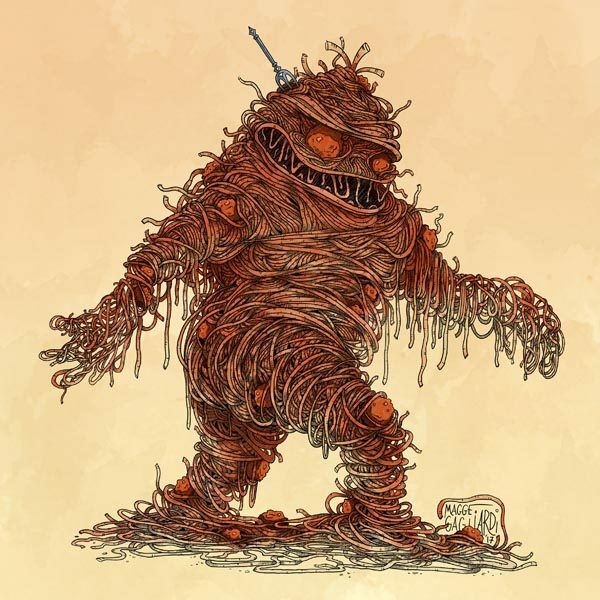 “Spaghetti Yeti” originally appeared at the “Tiny Monsters” exhibition at the FE Gallery in Sacramento, CA, where he was used as the promotional image for the show. Magge Gagliardi is a professional illustrator and designer based in Connecticut. She is a graduate of the MFA in Illustration from the University of Hartford in West Hartford, CT. … Show more. Send a message directly to Magge Gagliardi. Magge Gagliardi is a professional illustrator and designer based in Connecticut. She is a graduate of the MFA in Illustration from the University of Hartford in West Hartford, CT. She is a professor of Illustration at Sacred Heart University in Fairfield, CT and New Hampshire Institute of Art in Manchester, NH.